Firstly, they are babies and they don’t understand your language. The only equation that works is ‘stay calm and keep your finger on the shutter’ ready. When we refer ‘New borns’ – they are really new borns. 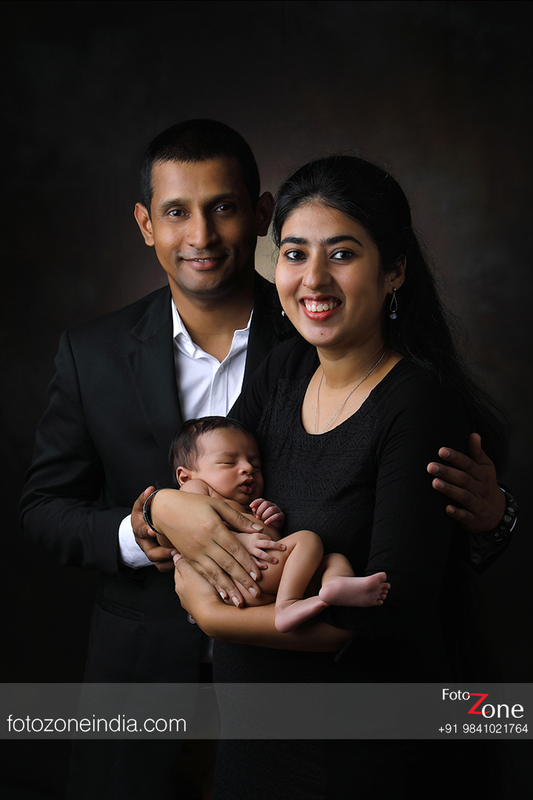 Many parents bring their babies to us as early as 15th or 20th day to take new born photography. Firstly, we have to understand that these new borns have just ventured into mother earth and it would take months for them to be comfortable with their immediate surrounding. Hence, do not expect a great warm welcome from both the child and the parents. Let’s face it, if the child turns out moody or is feeling sleepy, the parents are also gonna be upset. The only workable solution is to be patience. If there is one thing thats gonna make both the parents and the child happy is the best of props and background. 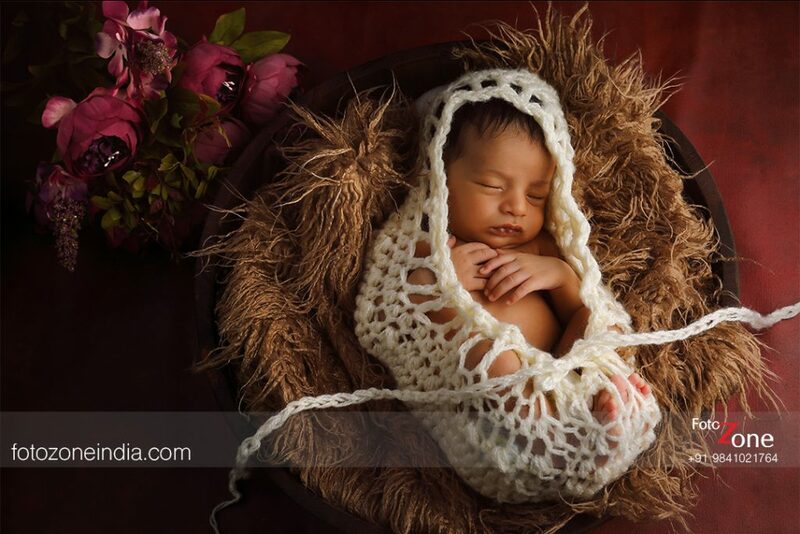 At FotoZone, we have invested on the most sought after props that have been considered the world’s best props for taking just born and kids photography. 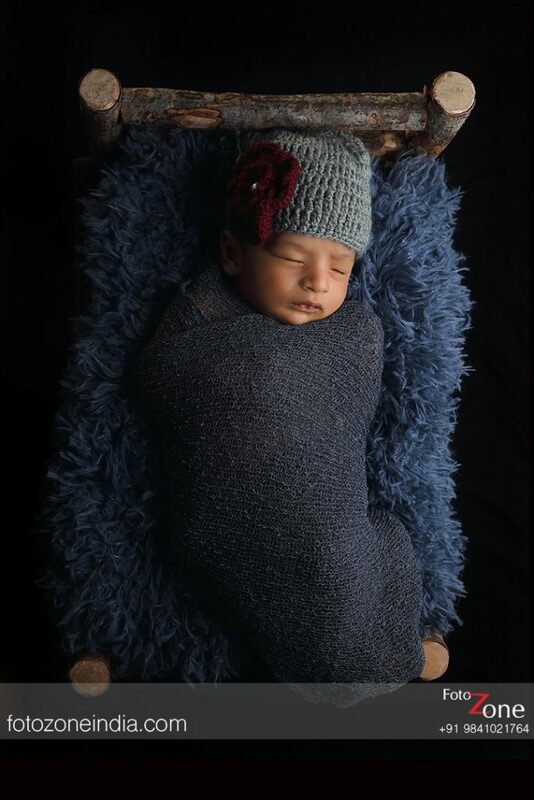 Some of them include our imported newborn wrap, faux fur fabric and of course the adorable head bands that would make anyone go ‘Awwwwwww.’ Besides, we are also renowned for making custom props and believe us when we say, we do it in a jiffy! 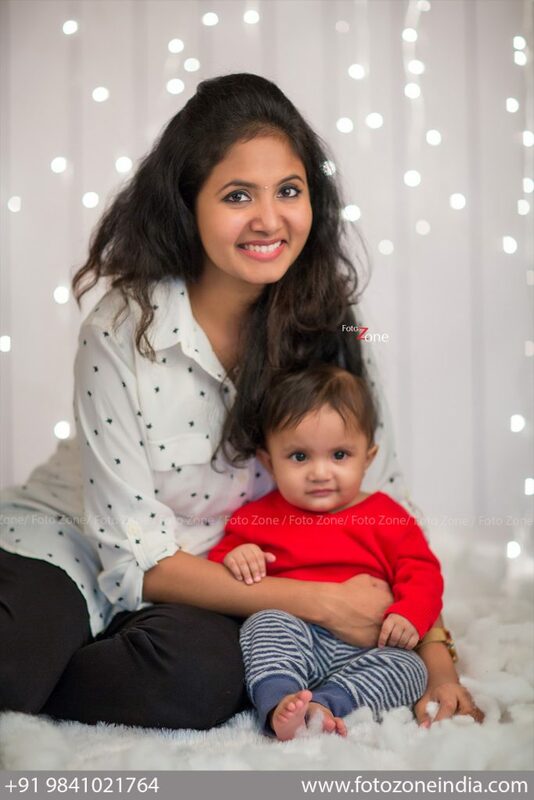 When it comes to children portraits (or kids portrait or toddler portraits, as they are popularly referred to), we currently have three popular themes which is aircraft, beach and Christmas. You would find these three all the time at out studio. Of course, with a little heads up, we can indulge in some creativity and amuse you with more themes. Don’t finish that photoshoot with the same clothing line! Ensure to have a minimum of one dress changeover so that you can get some variety. It will also give the parent and the child a breather to work on their posing techniques. At FotoZone, we have gained the reputation of giving enough space for our clients. We insist that our clients do a minimum of three costume changes and this gives us enough time to photograph some of the best possible angles. 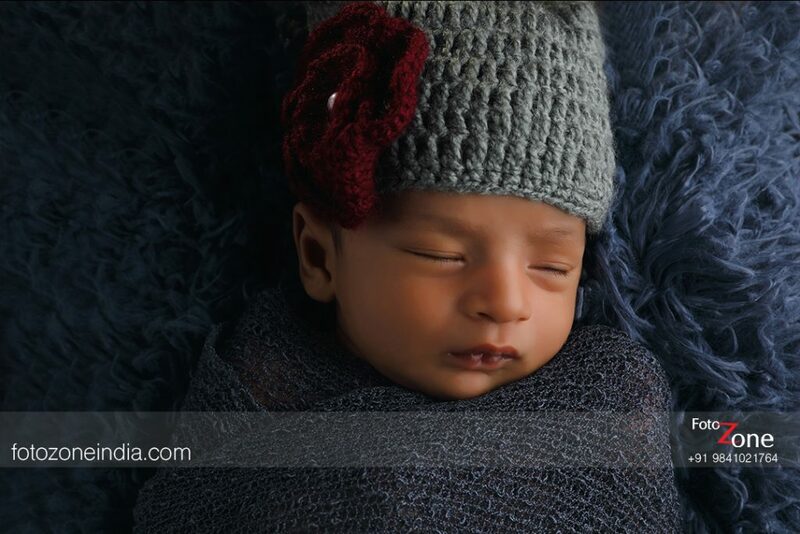 If you understand the above three points in all its intensity – you are ready to be a new born or a kids portrait photographer. The technical skills does matter, but they follow the above three points. At Foto Zone, we realised that everything is about relationships and maintaining a good relationship with our client is very crucial for us. We love the connectivity and the bond we share with our clients. This is also exactly the reason why we have kept new born and kids portrait photography at a very affordable price range. 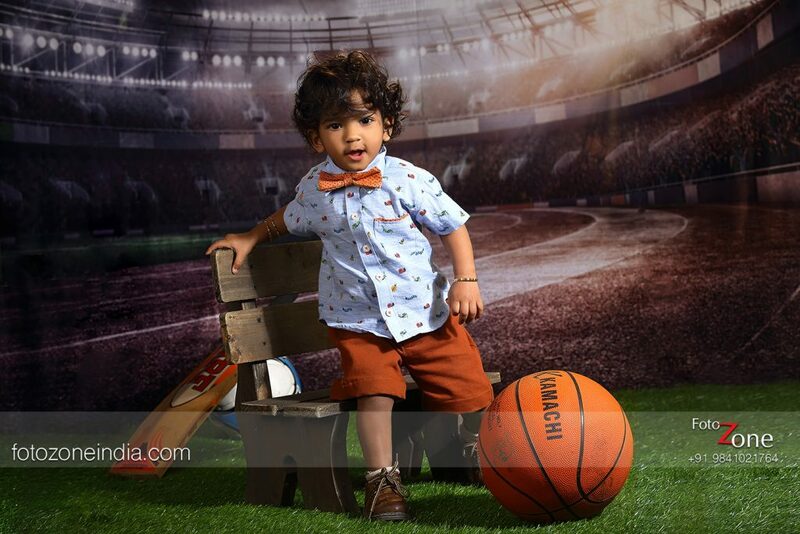 Parents can choose the package of their choice which will not only give them a solid two-hours photo session, but also with three costume changes like mentioned above and the chance to select 10 images from the photo session. In nearly three hours time, they walk back with their digital and printed copies. Talk about how experience brings wisdom – here is Foto Zone waiting to serve you.